Selected form with variegated leaves -- green with pink and white edges. Loose clusters of pink-red flowers. 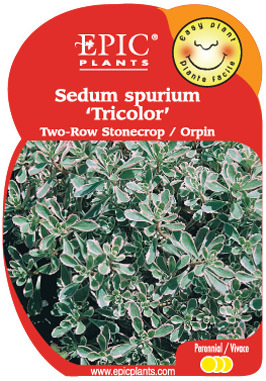 Ideal as edging or groundcover.